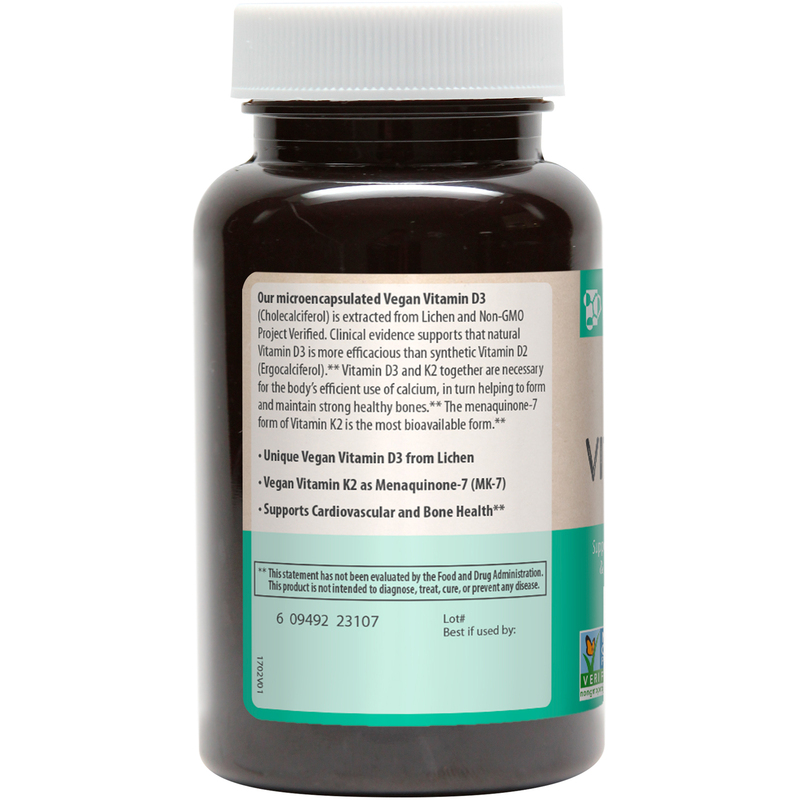 Our microencapsulated Vegan Vitamin D3 (Cholecalciferol) is extracted from Lichen and Non-GMO Project Verified. 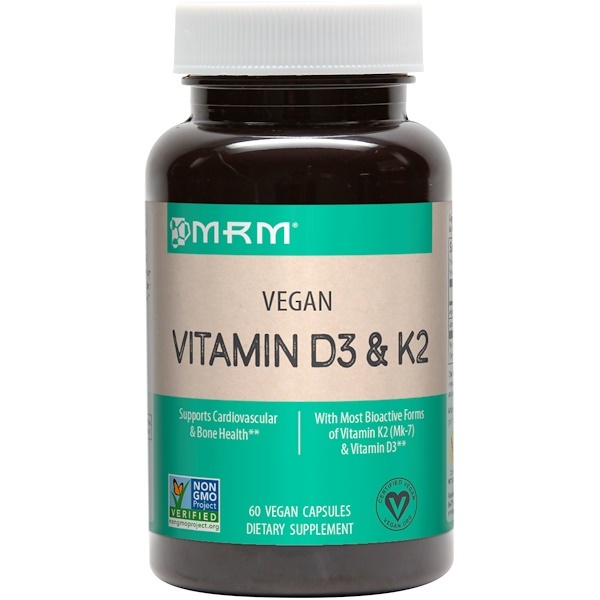 Clinical evidence supports that natural Vitamin D3 is more efficacious than synthetic Vitamin D2 (Ergocalciferol). Vitamin D3 and K2 together are necessary for the body's efficient use of calcium, in turn helping to form and maintain strong healthy bones. 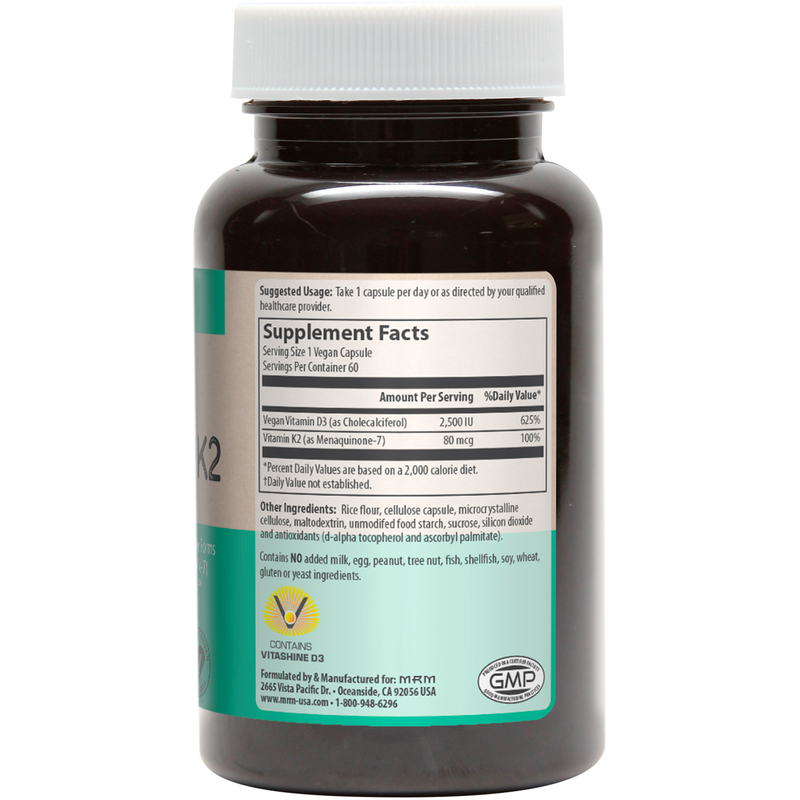 The menaquinone-7 form of Vitamin K2 is the most bioavailable form. Take 1 capsule per day or as directed by your qualified healthcare provider. Rice flour, cellulose capsule, microcrystalline cellulose, maltodextrin, unmodified food starch, sucrose, silicon dioxide and antioxidants (d-alpha tocopherol and ascorbyl palmitate). Contains no added milk, egg, peanut, tree nut, fish, shellfish, soy, wheat, gluten or yeast ingredients.